Natives of Borneo: 1. Saghai Dyak N.E. Coast. 2. Loondoo Dyak S.W. Coast. 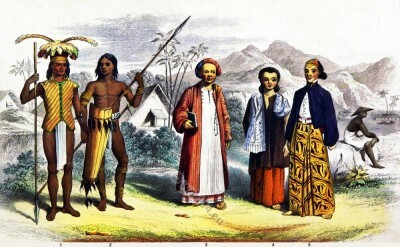 Natives of Java: 3. Priest. 4. Lady. 5. Gentleman. The Comprehensive Atlas and Geography of the World. “Races of the World”. Drawn by J. L. Williams. Engraved by A. Portier. Printed by Blackie & Son London, Glasgow & Edinburgh 1886. 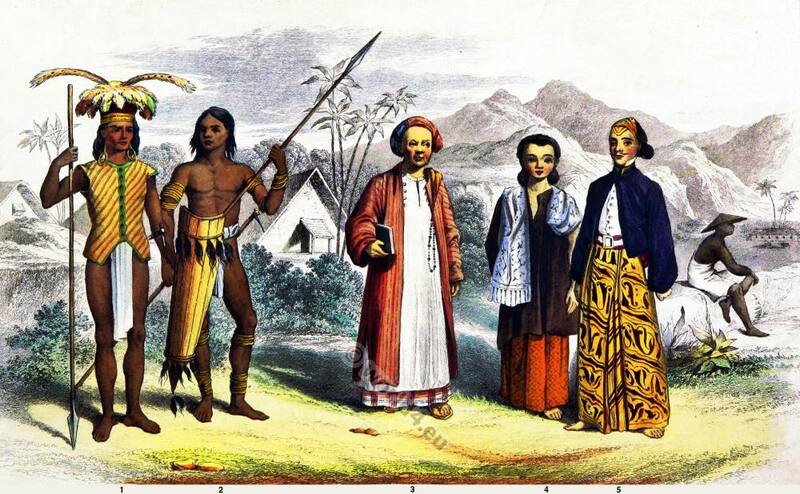 This entry was posted in 19th Century, Asia, Borneo, Ecclesiastical, Java, Malaysia, Traditional and tagged Races of the World, Traditional Javanese costumes on 12/6/13 by world4.